Manuel Fonseca-Accounting - BECA. The BECA.org Foundation. Empowering Youth Education in Nicaragua. 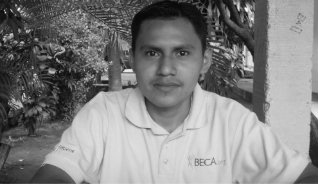 Hello dear readers; My name is Manuel Fonseca graduated from the technical career in Accounting, member of the organization BECA.org, who is now HEDU.org. Today I want to share a bit of my experience as a scholarship holder, I begin: in 2008 I received a proposal and was invited to start in the course one taught at INTECOMP and that was in charge of Professor Antonio Rodríguez, I was assigned the code 00060, here Was where I learned to use and know a computer, I concluded with the course and of course they sent us the invitation to continue to have the opportunity to opt for a technical career and also to be an ambassador of the BECA organization; However at that time I had no ideas to do, I did not think about continuing to study and I did nothing to follow. I do not regret this because you will see what happened next. It turns out that in 2012 again I received that proposal to be a student of course one and I was chosen again and I did well, I do not want to brag but I was one of the best in the group and I approved with good marks of the course, they gave me the title Of the Academy of Commercial Sciences and he of BECA. We also conducted the support brigade for schools for 3 months. Have you started to think and say that sometimes you do not know what to do? Personally, in the first year I had no idea of ​​continuing to study. I think that the decision I made in waiting was the best because maybe at the time of making the decision of my studies I would have been wrong or lost more time. A negative point of the brigade is that before so many situations as the folly of my colleagues sometimes I felt uncomfortable when they said and bothered that he was very quiet. I never get carried away by such nonsense but focus on one thing, I realized that quiet people are more productive and will see because I say so. I think it was difficult that process of the brigade to opt for the race but in the end I succeeded. Well spent the preparation time, start in 2013 with my accounting career in the technical center Masinfa, everything was so fast that in July 2014 I was ready to perform my practices and for that period my mother had died and unfortunately I could not share With her my joy (are unexpected things of life). It may seem that I am very proud or demanding but it has served me a lot in the aspect that did not accept the first options they give me but I want to do what I like because for the practices first I wanted to send to one of the companies located In Granada but did not accept it and sent me to the mayoralty of Masaya. Thank God there was good practice for me but I was not hired, time passed and some told me that I should seek employment elsewhere and I did but I did not find that opportunity. Although they also told me that I could opt for a job that does not fit my career, I did not accept it because I never gave up hope of finding what I was looking for. I always fought and asked God to help me, I valued myself and said to myself always seeing my certificate of career notes and my diplomas that I would achieve. And so it was, after 2 years I was hired indefinitely in the Mayor's Office of Masaya, I thank God that he listened to me and also thank you very much for the opportunity they gave me to study on the part of the organization BECA.org and its sponsors . Currently I have almost 7 months working, I started in January of this year, I think I have a good position, my job is to pay the taxpayers. In addition to working I also started to study for a degree in Accounting. I have many projects and many obligations now. It is necessary to mention that without the support of God could not achieve it. I hope this experience that I have shared is a mirror to see what it is that you are looking for, which is what you need. You can also get ahead.